We know you want to leave the closing table with a big, fat check and move on to the next chapter of your life, but in the world of business sales you have to be both willing to be flexible and willing to be creative when putting together a deal. Sure, we would all want a full-price, all-cash offer – but the reality is this type of deal is extremely rare and highly unlikely. By holding fast to your original listing price and refusing deal options like seller financing you are drastically limiting your pool of potential buyers. Very simply put, seller financing is keeping some skin in the game. When you offer seller financing, you take a down payment from a buyer, then accept payments over time for the remainder of the agreed upon sale price. Offering seller financing is great for your business on two fronts. First, it will open your listing to many, many more buyers. Traditional financing is nearly impossible to get for the purchase of a small business, even more so now in the wake of the recent financial meltdown. For those buyers in the market, an offer of seller financing makes the purchase of a business possible and this type of financing is more common than not. The second reason seller financing is important to the potential sale of your business is because of the message it puts forth to buyers in the market. By delaying your payment, you are telling those who are considering your business that you have a great deal of faith in the longevity and future success of your business. If you didn’t have that faith in the future of the businesses, then you won’t have any chance of getting paid back. 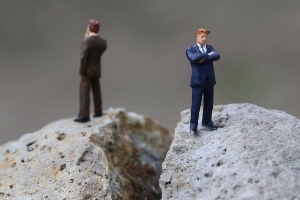 In the small business market, every deal is different. The multitude of moving parts in any transaction mean there are always ways to bring a deal to closing, as long as the parties involved are open to creative deal structuring. Seller financing is only one of the many creative deal structures, as are earnouts, strategic/silent partnerships – the list goes on. Staying open minded in terms of the structure of your deal is important if you really want to sell. If you really want to sell your business, stay open to creative deals and make seller financing a part of the conversation. You will have far more success and bring in many more buyers than those sellers who don’t. Do you have more questions about seller financing? Would you like to know more about creative deal structures? Ask us! Leave us a comment or question and we would be happy to help. When you’re in the business market, it can take some creative deal making to put together an agreement that makes everyone involved happy – and sometimes that creative deal making involves an earn-out. This type of arrangement is typical when the value of a business to a seller is much higher than the value to a buyer, usually because of expected future earnings. Here’s an example. A small boutique clothing manufacturer has recently secured a major contract with a very large retailer, a contract that will significantly raise the value of the business over the course of the next few years. The seller of the business, who has worked long and hard to secure this deal, wants to be paid for the future value of the business. A buyer, on the other hand, only wants to pay for what the business is currently worth – not including any potential future earnings. The way to bridge this massive valuation gap is the earn-out. A buyer pays the seller an initial amount, then (as in our above example) as the boutique manufacturer reaches certain milestones with the new large retail contract, the seller gets paid for those milestones. In an earn-out the valuation gap is bridged by paying for the future earnings as they happen instead of paying for the promise that they might. Is an earn-out for me? Not likely. As you can see from the above example, an earn out requires a very specific set of circumstances. Most business deals involve seller financing instead (click here and here to see more articles and learn more about seller financing). How do I find out if an earn-out would be appropriate for a business I’m selling or considering buying? Ask your business broker. Any experienced and qualified business broker will be able to advise you on the right type of deal for your business or for any business you are considering. Have more questions? 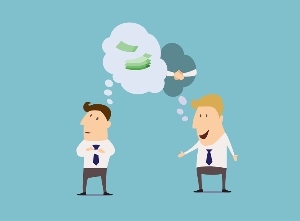 Want to know if an earn-out is for you? Please feel free to leave us a comment or question and we would be happy to help. 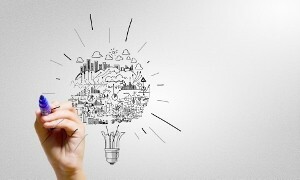 Why Smart Sellers And Smart Buyers Embrace Creative Marketing – Part 2: How Do I Do It? Whether you’re a small business owner already who is looking to sell or someone who is ready to try small business ownership for the first time, marketing (and marketing creatively) should be a top priority. This article is part two of two that will ask both why creative marketing is important and how to do it (read Part 1: Why? by clicking here). Part 2: OK, I get why creative marketing is important – how do I do it? 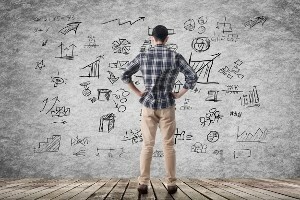 The most important message when thinking about a marketing plan? Be creative! A sign out front or a poorly maintained Facebook page just won’t cut it. Try different ideas to see what works. If something doesn’t work, don’t get discouraged. Just try another approach. Here are a few to get you started. Creative Marketing Idea #1 – You should have a great website. This one should go without saying. Businesses who don’t embrace the digital age are making a huge mistake. Your website also needs to be more than a one-pager with nothing more than your address. A visit to your site should be as complete as a visit to your business – so you should include pictures, menus or product lists, hours of operation and ways for customers to both call and email you. Optimize your site for mobile users as well, as many people will be visiting your site from their mobile devices and not just the big screen on their home computer. One of the most important things you can add to a website to make it easier for both customers and search engines to find is a constantly updated blog. Your blog should lists events, promotions or sales, thank you’s to your customers and articles about what your business offers. You should also include a call to action at the end of your posts, inviting customers to comment or ask questions. No one likes bad reviews, and let’s face it – there are people out there that you could never make happy, but you should treat all negative reviews like a second chance to win back a lost customer. You should take any review as constructive criticism and avoid the urge to take what was said personally. Answer negative reviewers in an apologetic and courteous tone. Address their reasons for giving you a negative review and discuss the changes you will implement to make any future visit to your business different. Not only will this gesture reach out the the customer who was displeased, anyone who reads the bad review and your response will know how much you care about your customers. You should also respond with thanks to any positive reviews to let those customers know that their opinions have been both heard and appreciated. Any local community has events – from festivals, parades, shows – you get the idea. Find a way to make your business a part of the local community on a regular basis and your customer base will naturally grow. If you are restuarant, take part in local food tasting events or provide food and drinks for a local music festival. If you are an insurance company, doctor’s office or real estate firm you can sponsor local sports teams or sponsor events like marathons. Anywhere you can get your name and your product in front of the folks who live near your business is a chance to spread the word about who you are and what you do. Some other ideas? Use services like Groupon and the like to offer a special deal to new customers and get them in your door. Take advantage of any and all social media outlets and link them to your blog and website. Join local networking groups and get to know other business owners in your community. The key to successful small business growth is both creativity and persistence! Are you ready to sell your business and want to know what types of creative marketing you could implement to help with your sale? Are you thinking about buying a business with little to no marketing plan to speak of and are wondering the best place to start? Ask us! Please feel free to leave any comments or questions below. Want to read Part 1: Why? Click here. Why Smart Sellers And Smart Buyers Embrace Creative Marketing – Part 1: Why? Whether you’re a small business owner already who is looking to sell or someone who is ready to try small business ownership for the first time, marketing (and marketing creatively) should be a top priority. This article is part one of two that will ask both why creative marketing is important and how to do it. I’m selling, why do I care? Your business is one of many that is currently for sale, and you need to stand out from the crowd. One of the ways you can differentiate yourself from others is to have a creative marketing plan in place. Not only will an already implemented marketing plan be appealing to someone who is looking to taking the reins in your business (it is one less thing a new owner would have to implement themselves), creative marketing can bring value to your business in the form of a growing customer base. Sellers who mentally check out or who decide that anything to do with growing the business should be the next owner’s problem are setting themselves up for trouble. First of all, it typically takes between 9 and 12 months to sell a business – sometimes longer if you are in a niche category. Secondly, what if your business doesn’t sell? What if something in your life changes and you decide to pull the business off the market? Your focus should stay on your business and the future growth of that business until the day you actually hand over the keys. I’m buying, why does a marketing plan matter to me? When looking at businesses to buy, there will typically be two different categories – those that have a creatively designed marketing plan in place and those who do not. Those businesses who take advantage of all available marketing opportunities are probably going to hold greater value for a potential buyer, so you might pay a premium for this type of business but the returns on a consistently growing customer base will be worth the extra cost. Learning the marketing plan and techniques will need to be a big part of your training when you take over the business, as you wouldn’t want the change in ownership to create a gap in communication with your current and future customer base. For businesses without a decent marketing plan in place, buyers will need to keep marketing at the forefront of their minds as something that needs to be implemented as soon as possible after the sale. These businesses will have more opportunities for growth, and you may be able to pay a bit less. You should ask the current owner what they currently do as far as marketing is concerned, and also ask what they would choose to do if they had unlimited time and resources. Sometimes the reason a small business neglects marketing is as simple as a personal issue that has taken too much of the owner’s time. Use their experience within the business as a starting point when considering what ways you could use creative marketing to grow. Have more questions about why a creative marketing plan is important to you and your current or future business? Want to know how much difference a well-implemented marketing plan will make on a listing price? Please feel free to ask questions or leave comments for us below. Want to read Part 2: How do I do it? Click here. 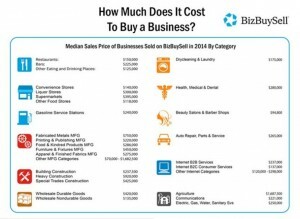 What does it actually cost to buy a business in the current market? That depends on both the size of the business and the industry you are considering. 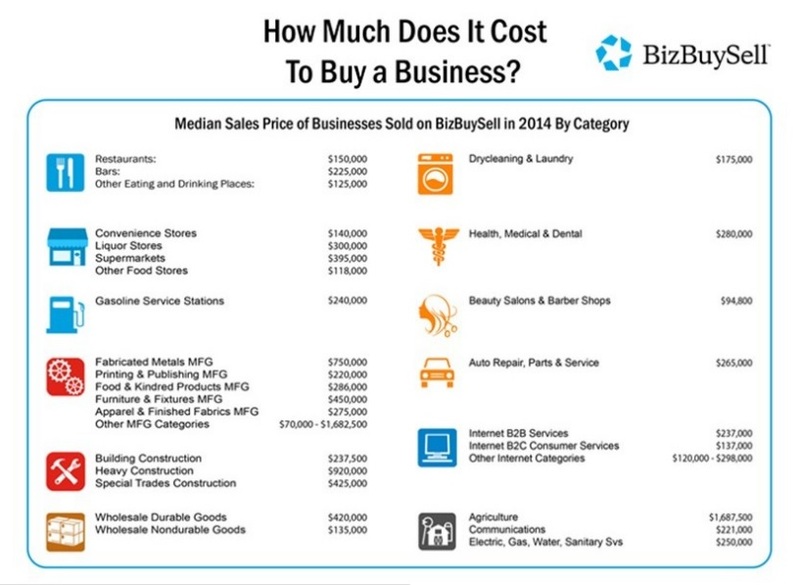 The numbers are in for 2014, so if you are curious about what a business you are interested in may cost, click on this chart from BizBuySell to see the median prices for each industry for 2014.
covers everything from key financials, sale price versus listing price, multiples, and businesses sold by both geography and industry. Is the industry you’re considering way out of your league? Don’t let these prices scare you off from business ownership. Remember that they are the median prices – meaning some were likely much higher and some much lower. If you have a type of business or industry in mind and want to see what current list prices are running, click here to search for available businesses. If you have further questions about what type and size business would be right for you, ask us! You can also leave comments or questions here and we would be happy to help you on your journey to business ownership. If you own a business, then it’s a pretty fair bet (and just smart business sense) to think about your exit strategy. What is your plan for the day when you no longer want to own your business? For those without an eager adult child ready and waiting in the wings to take over when you retire, the answer for the future of your business is to put it up for sale. Selling your business is a great way to make a return on the investment of time, money and energy you’ve put in over the years – and selling can set you up with the capital you would need to retire or to invest in another business opportunity. If selling is in your future, then the next decision is when. Right now most businesses have bounced back from the economic recession and there is a positive outlook for growth in the near future. Interest rates are low, making businesses worth more and there are currently more sellers in the market than buyers. That all sounds great, but as anyone in the business world who survived the recent recession knows – things don’t stay great forever. We know that interest rates will rise and growth will slow. There is also an impending wave of baby boomer business owners poised for retirement – and when they decide to retire the market will be flooded with available businesses and the favor will shift to buyers. The message here? If you are even considering selling in the near future, you need to seriously consider selling while the selling is good. And you need the right kind of help. If you search business-for-sale sites or sign non-disclosures in order to request business information, you will probably be horrified by the lack of information available and the poor quality of the marketing package that has been put together. When we ask for packages from other brokers, we frequently get poorly photocopied tax returns and a P&L, but nothing that makes anyone excited to buy a business or even anything that justifies the listing price. Selling your business successfully takes the right kind of marketing package. Our marketing packages include a breakdown of the financial information, location information, pictures, links to websites and reviews – the list goes on. A professional business broker knows how important that buyer’s first impression will be, and then puts together a marketing package that truly reflects why someone would want to buy your business. 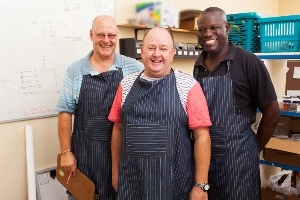 If you think you may want to retire from business ownership or if you want to seek other business opportunities – now is the time to sell and we are the right kind of help. Contact us today to see what we can do for you and your business. Have you thought about selling but have doubts about selling in the near future? Have you been presented with a joke of a marketing package and want to share your experience? Leave a comment or question here! If your business has a website and you consider SEO (Search Engine Optimization) in your marketing plans, then knowing how SEO is evolving in 2015 will be pivotal in ensuring your business is benefiting from your online presence. If you don’t consider SEO or don’t even have a web presence to speak of, read this to find out how and why that should change. The old methods of improving ranking have changed a lot over the past few years (especially after the changes when the Google Panda update went into effect in 2011). Here are a few of the big changes that sellers should be aware of for 2015. 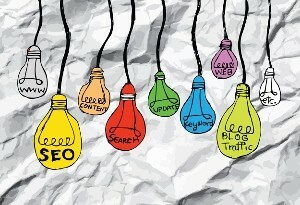 The old way of climbing the rankings was to cram as many keywords into your site as possible, making it easy for Google and other search engines to find out what category they should stick you in. Keywords still hold some sway, like in the meta tags of your pages, but the new SEO is user-driven (as it always should have been) meaning you need to have content that users will find valuable if you want your site to matter. This matters to a seller because not only will great content (like a frequently updated blog) bring in new customers and profits thereby driving up the selling price, but it will leave a fantastic first impression on any potential buyers who visit your site – your business takes the time to focus on the newest marketing techniques in the digital age. Those who practice SEO have always known that black hat practices like buying links and spinning garbage articles were not technically good – but we did them anyway because they worked. In the new SEO world, the focus is again on user-experience, so garbage articles need to be replaced with really great and continually fresh content. Your focus should be on creating a great web visit for your customers, and then letting things like links occur organically. Paid backlinks and other black hat will only get you into trouble. This matters to sellers because black hat antics can get your site delisted on search engines, which can be disastrous if you are in the middle of trying to sell. Write nice articles, remove any paid links and let your web presence grow organically with the use of good links and social media. Want to know more about the new SEO? Click here to visit a great infographic by QuickSprout! Do you have more questions about how to make SEO work in your favor when trying to sell your business? Have you found ways to get your website noticed and would like to share with the small business community? Please feel free to leave a question or comment here. If you are in the market to buy a business, then one of the steps you will have in your future is the walk-thru. Much like buying a house, you will want to see a business inside and out before you make any decisions on moving ahead with a sale. Unlike a house, there will be a few more steps before you can see a business. First and foremost of the steps to see a business is the confidentiality agreement. You will be required to sign a confidentiality agreement before your walk-thru for a few reasons. Existing businesses can face terrible consequences if the entire world finds out that they are for sale. There is a powerful misconception that any business for sale is a business moments away from bankruptcy and closing its doors for good (although typically nothing could be farther from the truth). If confidentiality is breached the entire staff could quit, taking their regular clients with them, vendors might cancel contracts, customers may decide to shop elsewhere – you get the idea. Nondisclosure and confidentiality agreements protect sellers and their businesses from these potentially disastrous breaches. Once the confidentiality agreements have been signed, you will not just be able to waltz into the business whenever you please. An appointment will need to be coordinated between you, the seller and the brokers involved. Why do the brokers need to be there? One of the most important roles that a business broker plays is that of a buffer. We have seen too many deals fall apart because seemingly innocent communications directly between a buyer and a seller get misconstrued into a major offense. Some sellers (whether appropriate or not) find questions about the legitimacy or profitability of their business offensive. If this happens and your deal begins to teeter on the brink of unravelling, you will want your broker around to smooth things over. Your own broker will also be able to tell you if they think the things that were seen or said during a walk-thru were on the up-and-up. You will want their experienced eyes with you. You will need to be flexible on meeting times for your walk-thru, especially if the business is one that has more than one or two employees that can be easily avoided. You will likely need to do your tour either before the business opens or after they close to keep the staff from finding out about the for-sale status. If you really want to see the business during business hours, then you certainly can. You just need to talk to your broker about whether or not it would be appropriate to do so. It would be tough, for instance, to walk in and see a manufacturing floor where the public is never allowed – but if you were considering a cafe, you could go in and grab a cup of coffee. Have your broker let the seller know that you are planning on dropping in as this is seen as common courtesy to the other side. If you do grab that cup of coffee, it is important that you keep a low profile. Don’t ask any strange questions of the staff that will make them suspicious or do something like demand to see the manager or owner. You are there purely for observational purposes. Now that you’ve made the arrangements — like signing the appropriate nondisclosure agreements and making an appointment with the brokers and the sellers – keep your appointment and don’t be late. Getting a walk-thru together requires a lot of moving parts, so buyers who fail to show or fail to show on time show a lack of respect – and sellers may refuse to work with you. Bring questions with you. This visit is a really great chance to find out about the ins and outs of this particular business – and you don’t want to waste the opportunity. You should feel free to open doors, examine equipment, etc. – just ask the seller first. It is important to remember that not only does the business still belong to the seller, it is a huge part of their life. Again the message is just to be respectful of the other parties involved. You should never feel like you have to rush through a walk-thru, but on the same token eating up a ton of everyone’s time because you love to tell long-winded golf stories isn’t fair to anyone. Stay on point and make the most of this unique opportunity to see the business from the inside out. There are many things about a business you can’t learn from reading a P&L. Once the visit is complete, have a conversation with your broker about the things you saw, your concerns (especially those you weren’t comfortable bringing up in front of the seller) and ask if they saw anything they think the two of you should discuss further. Use their experience and knowledge to your advantage when using the information you gained via your visit. Are you considering buying a business, but would like to know more about the walk-thru process? Do you want to know what types of questions you should be asking during a visit? Ask us! Please feel free to leave comments or questions below.